Rep. Adam Schiff (D-CA) does not plan to heed those calls to step down as chairman of the House Intelligence Committee. "I’m more than used to attacks from my GOP colleagues and I would expect nothing less," he said on Capitol Hill Monday. House Minority Leader Kevin McCarthy said Schiff “owes the American public an apology” for peddling lies about Russian collusion for months. After that, he wants him to resign from the committee. White House counselor Kellyanne Conway echoed that request. "He has no right as somebody who has been peddling a lie day after day after day unchallenged," she said on Fox News. 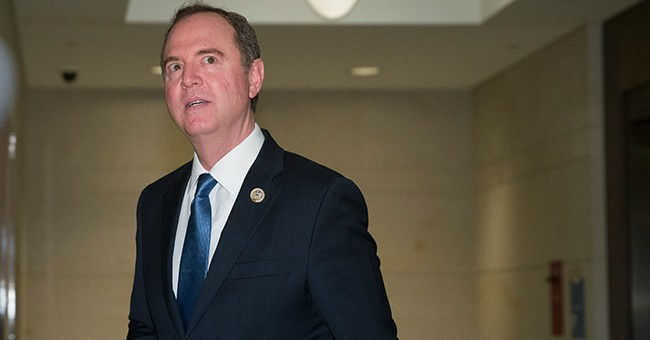 Schiff, however, pointed fingers back at the Trump administration, accusing the president of "handpicking" William Barr as attorney general because he knew he would "exonerate" him. Over the weekend, special counsel Robert Mueller concluded his Russia investigation and did not find that President Trump conspired with the Kremlin to win in 2016. Democrats didn't hide their disappoint, hoping the report would give them an opening to start impeachment proceedings. Schiff has accepted Mueller's conclusion that Trump is not a criminal conspirator, but added the caveat that, "there are a lot of open questions." Plenty of other Democrats are of the same mindset and are not ready to let go of their obstruction of justice claims just yet. Rep. Eric Swalwell (D-CA) said they are ready to issue subpoenas to make sure they see every unredacted word of the report. Other top Democrats, meanwhile, are reportedly ready to move on.